Join us from 4pm-4:45pm for a special panel discussing Millennials in politics with our guests Nicole Johnson, Bushra Amiwala, and Ugo Okere. Nicole Johnson is a native of the Englewood community on Chicago's southside and aldermanic candidate. Bushra Amiwala, age 19, is a DePaul student and also running for Cook County Commissioner. Ugo Okere, age 21, is a Loyola student, 40th Ward community Organizer, and an Aldermanic candidate. Admission is FREE, although a suggested donation of $10 to cover the cost of the venue is appreciated. Join Indivisible Chicago to re-charge, re-orient, and re-energize as we work to turn the coming Blue Wave into a tsunami! To ensure the most inclusive and diverse movement possible, the Indivisible Chicago Summit is dedicated to facilitating an accessible, supportive experience at the Summit for all participants, including people with disabilities. Open Captioning and ASL Interpretation will be provided. We have reserved seating in front of the stage for anyone who may use these services, on a first come, first served basis. 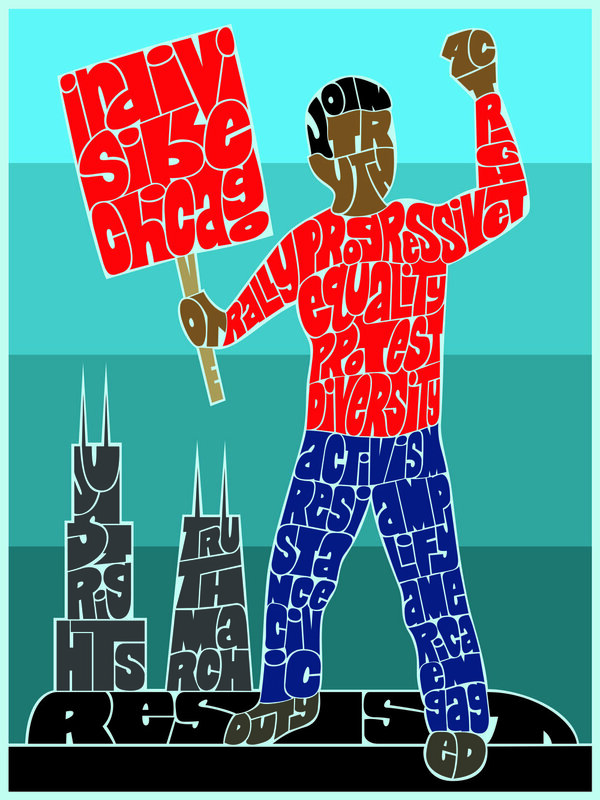 If you need other reasonable accommodations, please contact us at info@indivisiblechicago.com. In 2018, we vote. Bring on the Blue Wave.